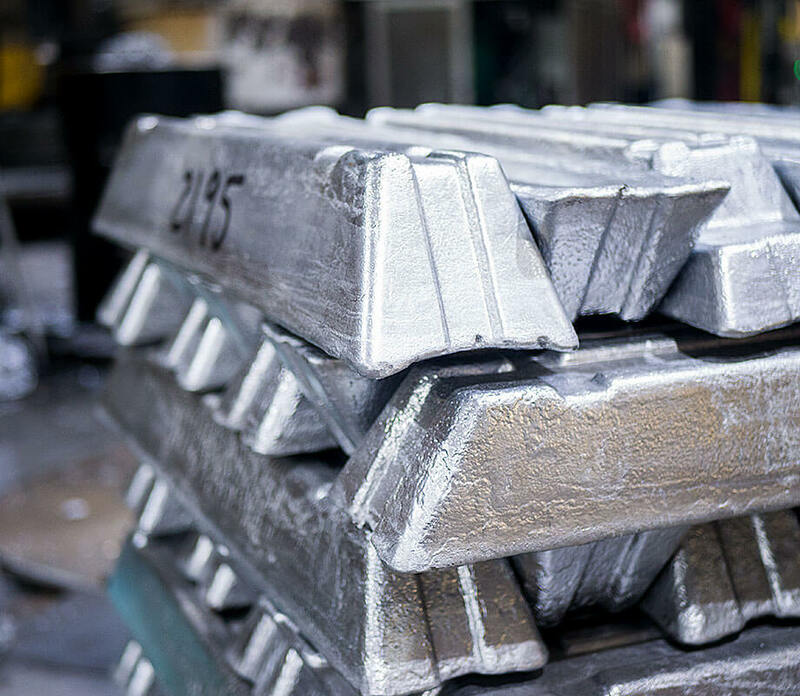 Aluminum die casting offers a broader range of shapes and sizes than any other manufacturing technique. High-speed production with dimensional accuracy and stability allows aluminum die casting to create strong, lightweight, and durable parts for a variety of industries. Whether an automobile manufacturer needs a steering column or a cookware company needs an intricate pan, aluminum die casting meets or exceeds strict dimensional as well as aesthetic specifications. 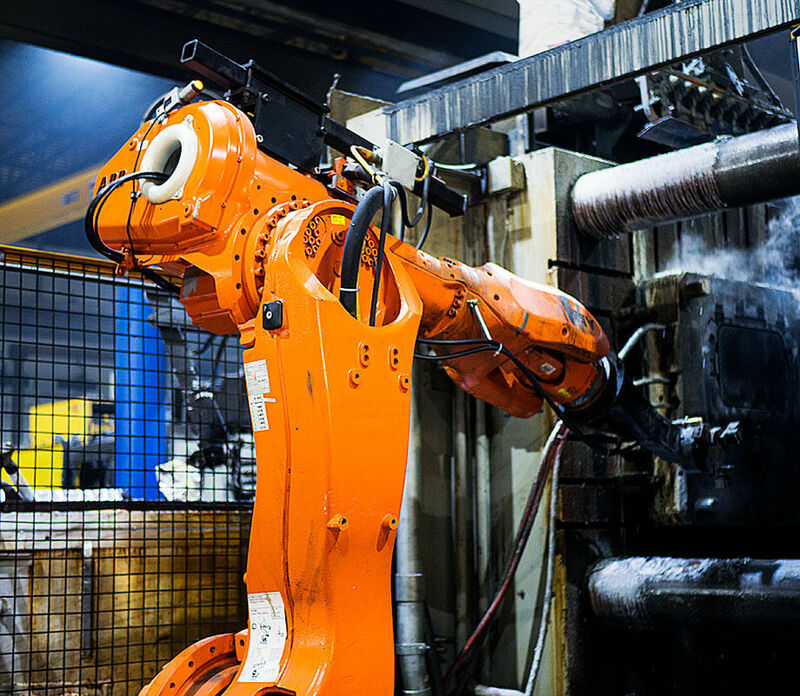 Each of Dart Casting's 14 die casting machines have their own breakdown/holding furnaces, which allows multiple alloys to run simultaneously. 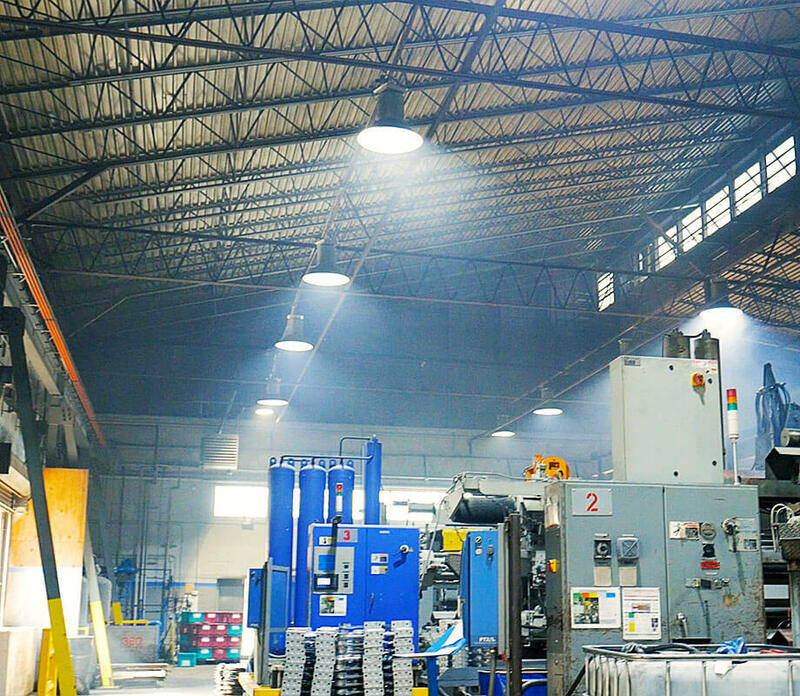 Our 24-hour production schedule combined with our dedication to service means we can provide almost any size, shape, and aluminum alloy product for even the most demanding customer requirements. Ranging in size from 400 tons to 1,600 tons, each machine is capable of producing parts from 1 oz. to over 25 lbs. 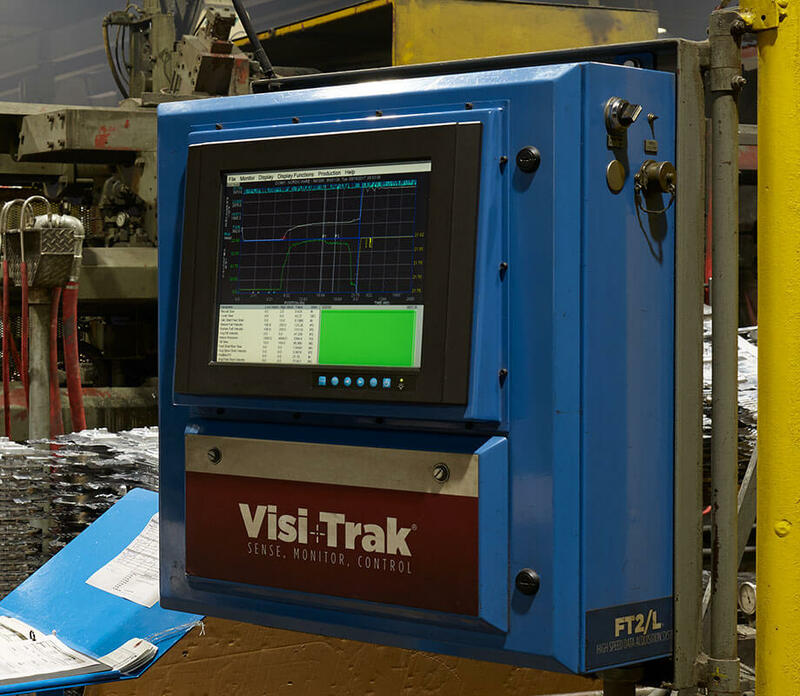 We track the accuracy and consistency of each part through a digital system that ensures quality from start to finish. 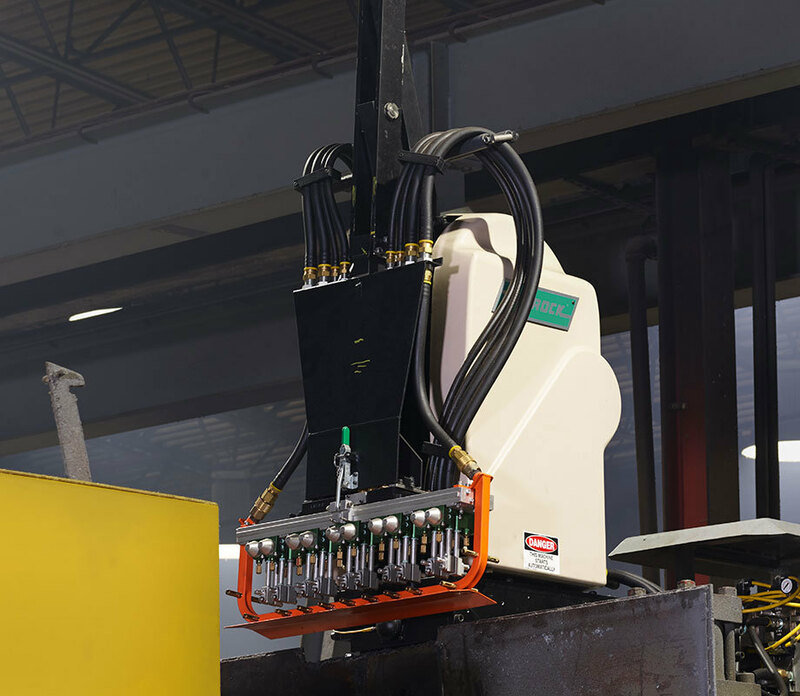 Auto ladles, auto lube, auto sprays, and robotic extraction allow for quality products that are consistently manufactured. Individual breakdown/holding furnaces allow Dart Casting to run multiple alloys simultaneously. All of our die casting machines are made by the same manufacturer. This helps minimize down-time, reduces setup time, and keeps maintenance costs lower. Light or heavy, small or large, simple or complex — a broad range of shapes and sizes adapts to a customer's specific needs. Faster production means labor costs are lower compared to other manufacturing processes. 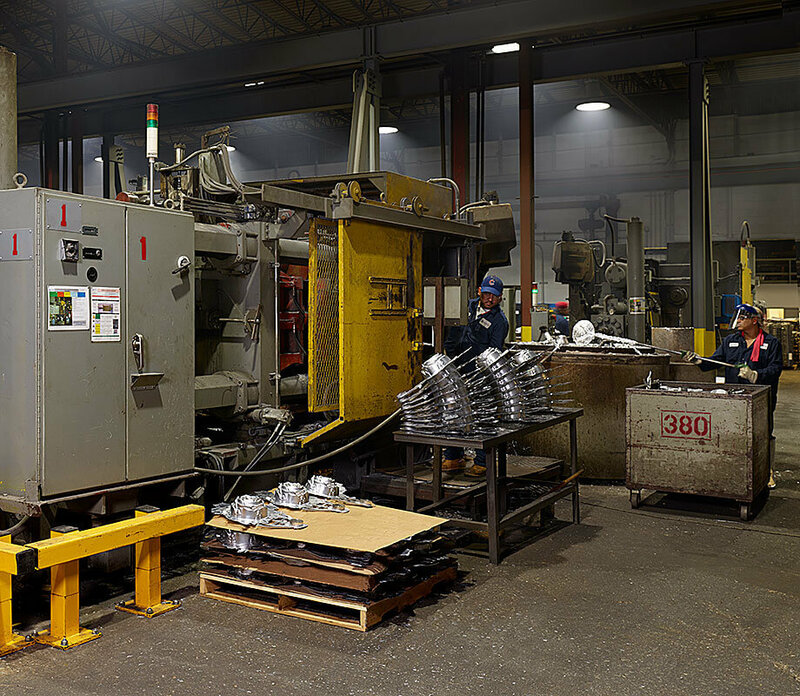 Die casting produces parts that are durable and dimensionally stable, while maintaining close tolerances. Thin wall castings are stronger and lighter than what is possible with other casting methods. Since die castings do not consist of separate parts welded or fastened together, the strength is that of the alloy rather than the joining process. Die cast parts can be produced with smooth or textured surfaces and they are easily plated or finished with minimal surface preparation. Fastening elements, such as bosses and studs, can be integrated directly into the casting of the product to help with assembly. Cored holes can be made to tap drill sizes or can be sized in a way to minimize or even eliminate machining and other secondary operations. Die cast parts simply look better. When products have a long service life, each part should be designed to complement the complete component.